Hypertension is one of the leading causes of major cardiovascular disorders and mortalities worldwide. Though genes play a role in the development of hypertension, the influence of environmental factors and your lifestyle cannot be ignored. However, having this disease is not the end of the world for you. 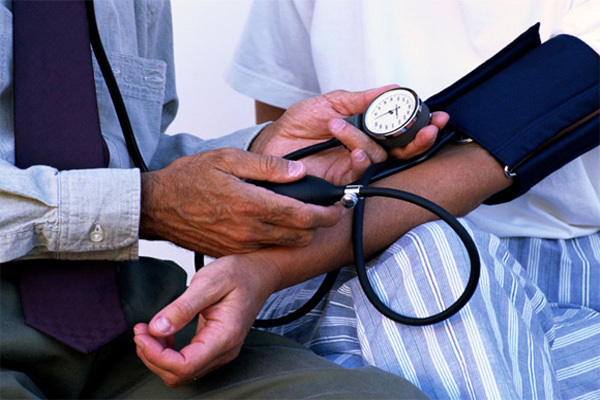 Hypertension is actually a very preventable and manageable condition. All you have to do is to modify some aspects of your lifestyle to restore your health to normal. You can actually lower blood pressure in natural way. Blood pressure is the force created by the pumping of the heart. It is scientifically computed by multiplying the measures of cardiac output and total peripheral resistance (TPR). The amount of blood that your heart is able to pump in a minute is measured for the cardiac output. High blood pressure can be caused by the obstruction of blood vessels by cholesterol plaques. Hence, avoiding fatty foods is essential in keeping your blood pressure in check. Sodium is also notorious for elevating your BP. The avoidance of salty foods, such as junk foods and even excessive table salt, is central to lowering your BP. Aside from avoiding such foods, it is also important that you eat more fiber-rich foods and less fatty ones. Fiber promotes the elimination of cholesterol and decreases propensity for the buildup of cholesterol plaques. One of the most important steps you can take to lower blood pressureis to increase your physical activity. Exercise facilitates the burning of fats that are present not only in your belly or thighs, but also those that are present in the walls of your blood vessels. Aside from that, exercise promotes the utilization of glucose, a molecule that can make your blood viscous in excessive amounts. A more viscous blood means a slower blood flow. The heart must then pump harder to compensate. Smoking causes hypertension by promoting vasoconstriction, an effect of its nicotine content. Vasoconstriction is a process by which the diameter of the blood vessels decreases as a result of contraction of their muscular wall. When constricted, the vessels exert a greater resistance against blood flow. Coffee and cola, as you well know, contains caffeine, which is another potent vasoconstrictor. Limit your coffee and cola intake to prevent hypertension.